After being stuck at sea for 19 days, most of the 49 people rescued in December by the Sea Watch and Sea Eye ships have been inside a detention center for asylum seekers in the Maltese city of Marsa, Mediterranea Saving Humans has said. 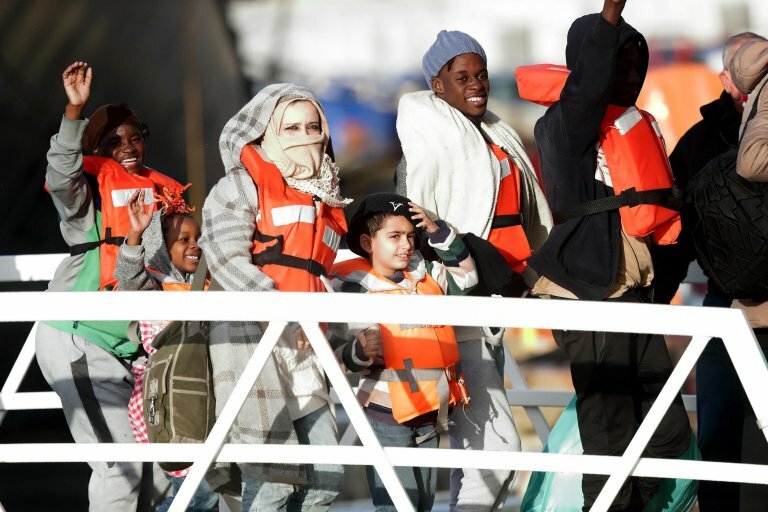 The platform of Italian associations is involved in the Mediterranean Sea with its Mare Ionio ship, which alternates with the NGOs Open Arms and Sea Watch. "Their situation is proof that this practice leads to the systematic violation of the rights of those involved," the platform said. "Since the morning of March 5, many of those who disembarked in January have been on a hunger strike to protest the de facto detention that they are subjected to and to demand clarification on the procedures for relocation that member states are using, through mechanisms of entirely arbitrary selection." "Everyone recalls the depressing spectacle put on by European governments for weeks while these women, children, and men were not allowed to disembark from the ships that saved them. When they bargained over their redistribution outside of any legal framework, treating them like cargo instead of subjects with rights, or human beings," Mediterranea said in a statement. "We have learned from the stories of those in Marsa that the delegations from France and Germany have excluded several people from the possibility of being transferred to these countries on the basis of unknown reasons and without the refusal being communicated in writing, making it impossible to act through legal means against the decision. Other instead have not had any news on their transfer and have not even had access to the first phase of this informal mechanism, which consists in an interview by officials from the states which are to be their destination," they said. "It is still unknown what will happen to these people and how long they will be held and on what basis this was ordered, even as concerns minors unaccompanied by family members and nuclear families with very small children," the statement continued. Mediterranea Saving Humans, it stressed, "strongly urges that this arbitrary detention of these people be put to an end, after so much suffering and so many violations that they have been subjected to, and that they finally be allowed to access their rights and begin their lives in Europe."